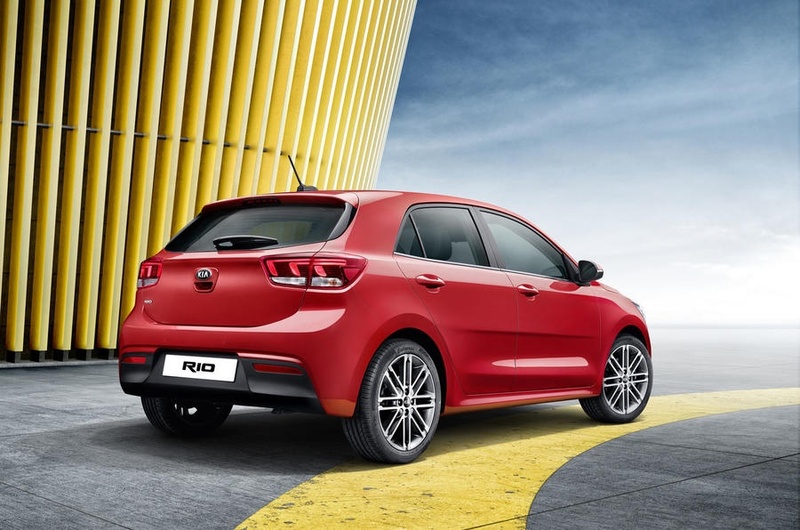 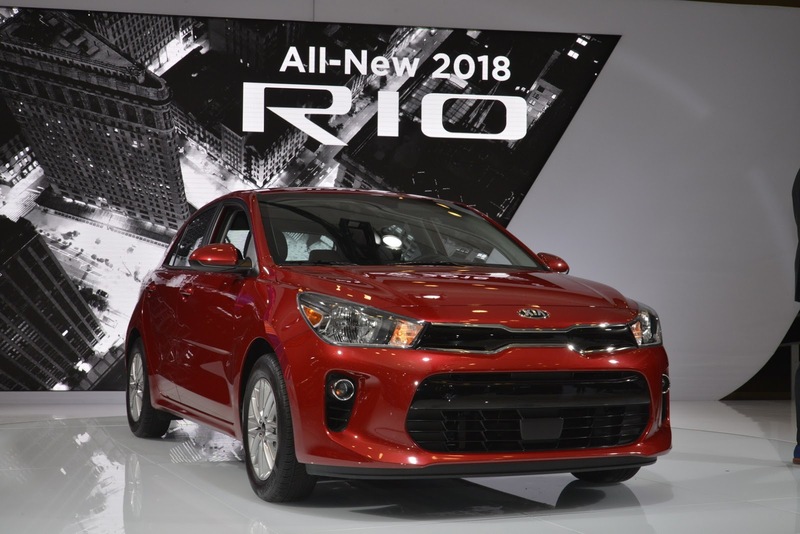 After first breaking cover at the 2016 Paris Auto Show last autumn, Kia’s all-new Rio supermini is finally taking its surprisingly generous proportions Stateside, making its debut at the New York Auto Show. 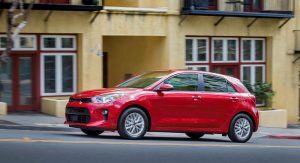 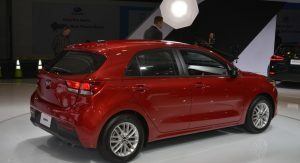 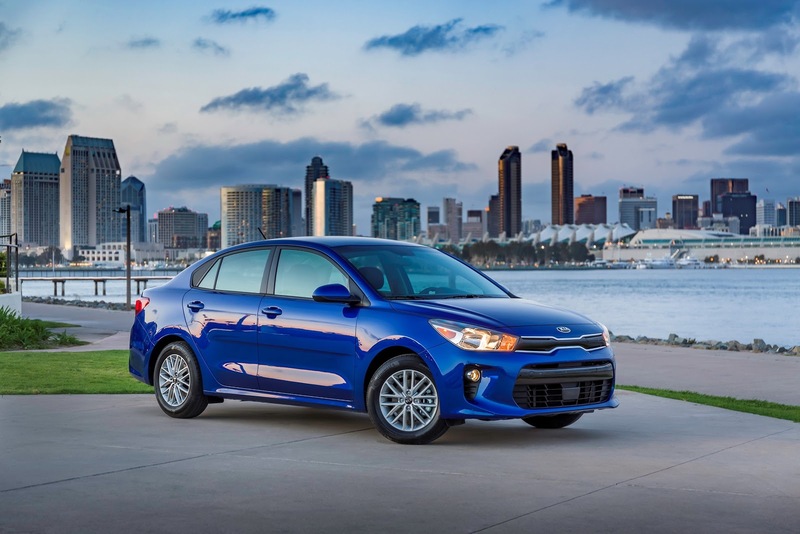 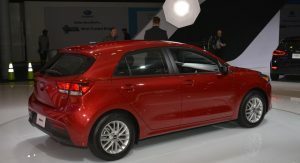 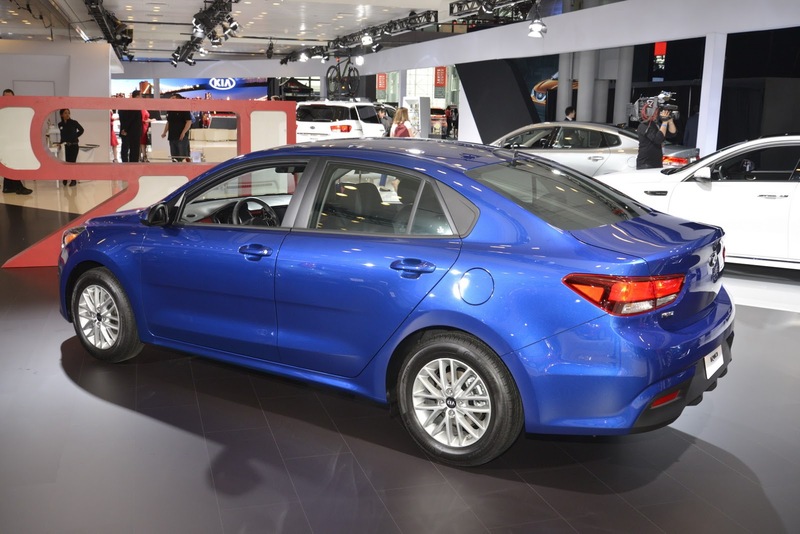 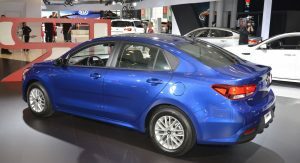 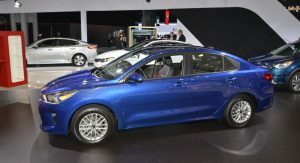 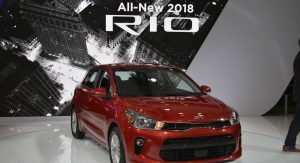 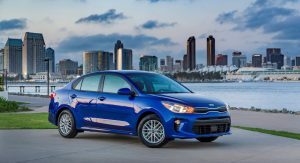 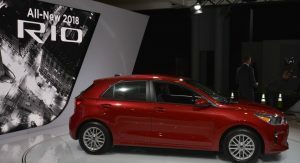 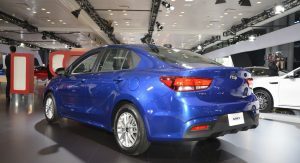 The all-new 2018 Rio sedan and 5-door models are now the latest additions to the Kia Motors America (KMA) model lineup, bringing with them a combination of fuel efficiency, solid on-board tech, advanced safety features and a fun-to-drive character that value-conscious buyers can benefit from once the models arrive at Kia retailers later this year. 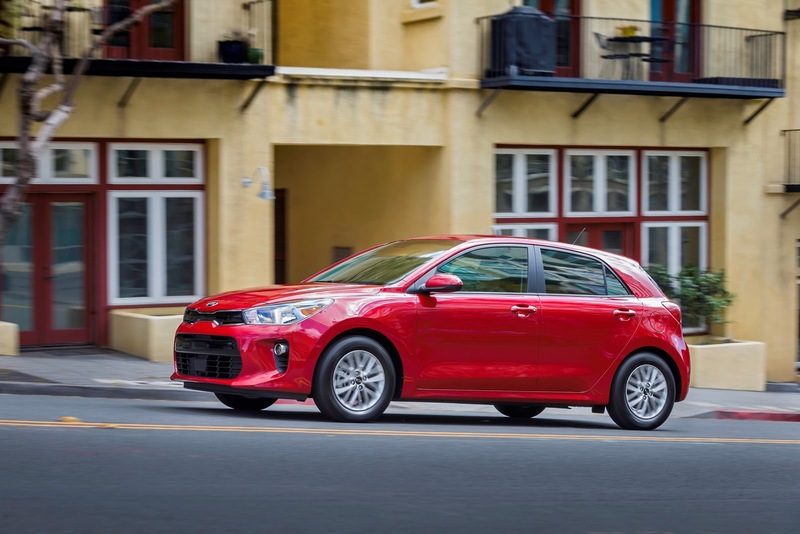 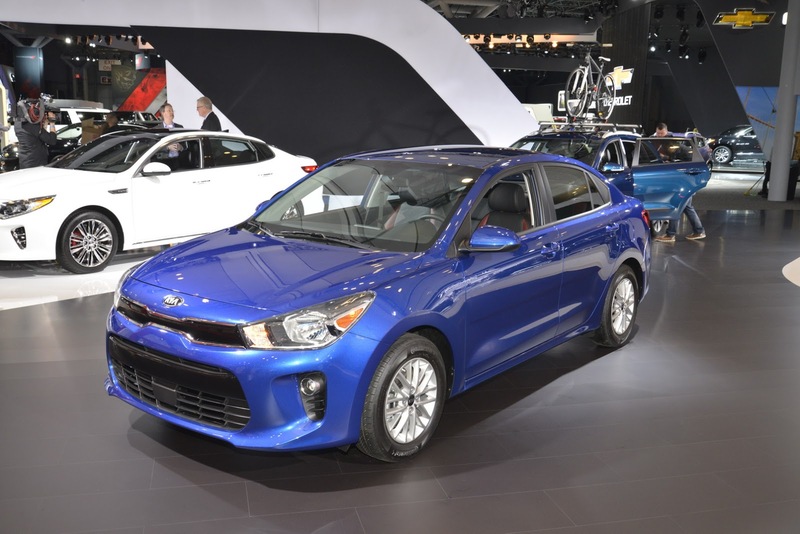 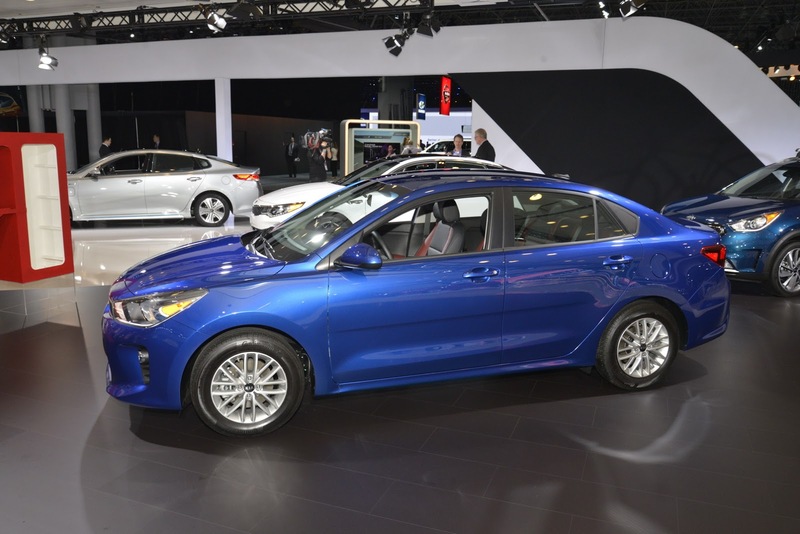 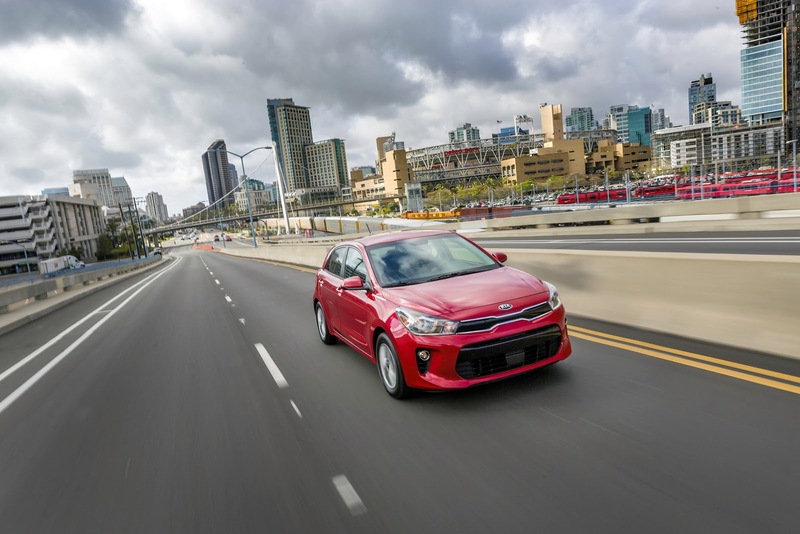 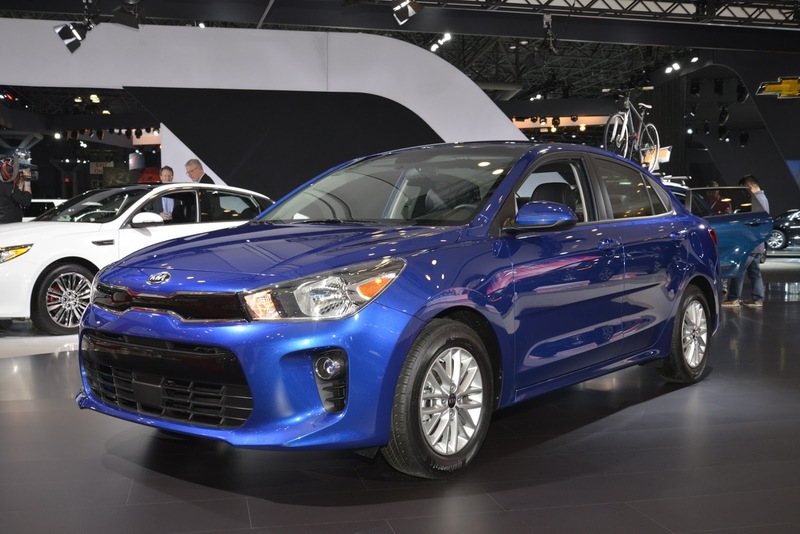 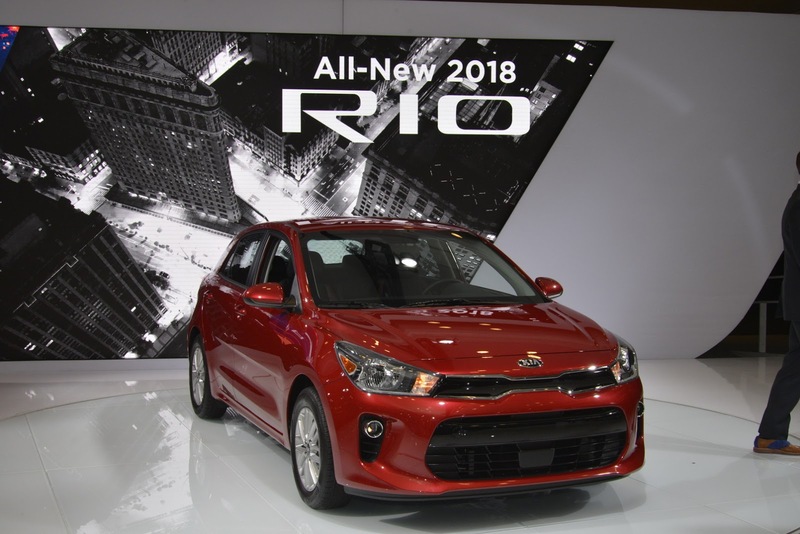 “Value has always been a core tenet for the Kia brand and the all-new Rio sedan and 5-door continue to underscore our commitment to those buyers looking for an entry-level vehicle but desire more than what the subcompact segment currently offers,” said KMA exec, Orth Hedrick. 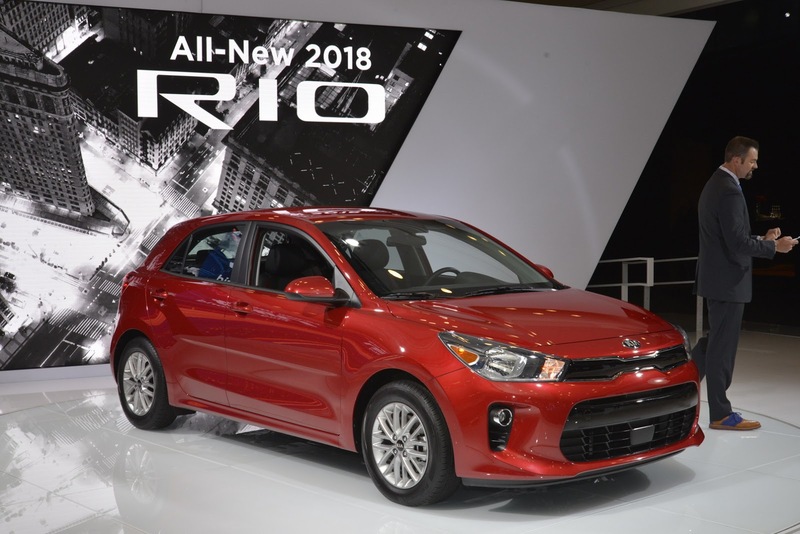 Compared to the previous-generation model, the 2018 Rio features the latest iteration of Kia’s “tiger-nose” grille and newly designed headlights to go with the crisp lines and smooth surfaces of the exterior. 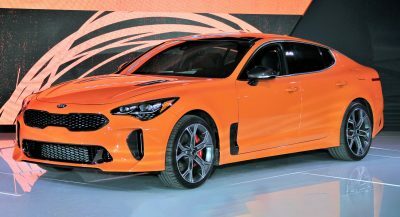 For the sedan, Kia increased the length to 172.6 inches (from 172.0), whereas the 5-door model is now 160.0 inches long (from 159.4 inches). 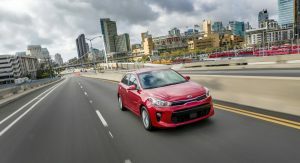 Inside, the roomy cabin is loaded with modern technology that includes Bluetooth hands-free functionality, a six speaker stereo with satellite radio and a rear-view camera system. 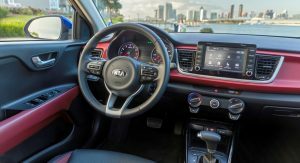 A 7″ floating touchscreen interface is available only on the top-tier EX trim, as is the UVO3 voice recognition infotainment system and smartphone integration through Android Auto and Apple CarPlay. 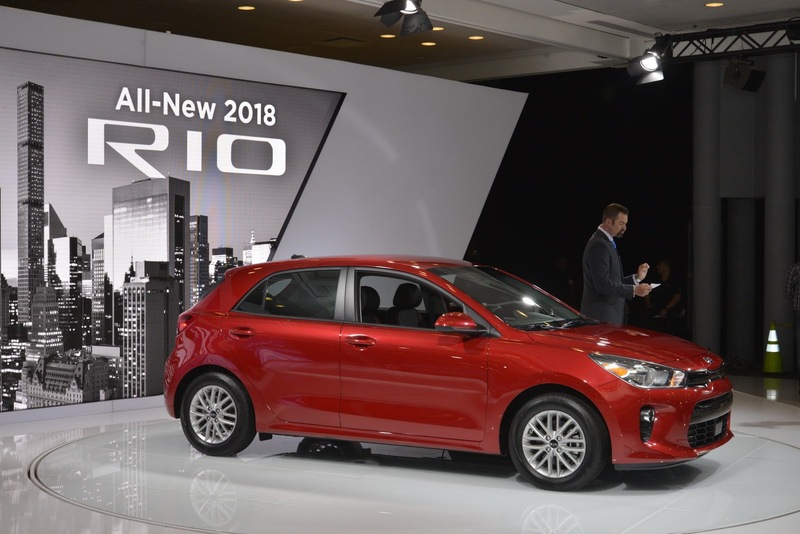 Standard safety features include six airbags, side-impact door beams, ESC, a four-wheel ABS, Hill-start Assist Control and Vehicle Stability Management – Kia is targeting a Top Safety Pick for the 2018 Rio during IIHS tests, and a 5-star rating from the NHTSA. 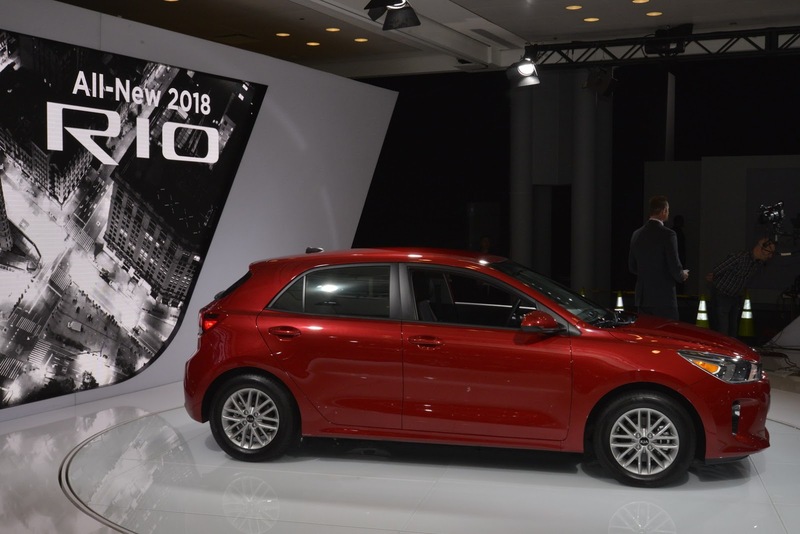 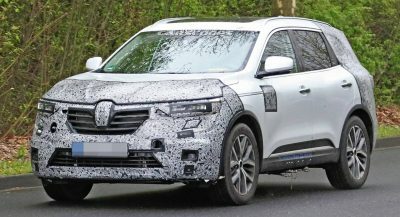 US buyers will be able to choose between three trims – LX, S and EX, with power coming from an old yet enhanced Gamma 1.6-liter GDI four-cylinder engine, good for 130 horsepower and 119 lb-ft (161 Nm) of torque. 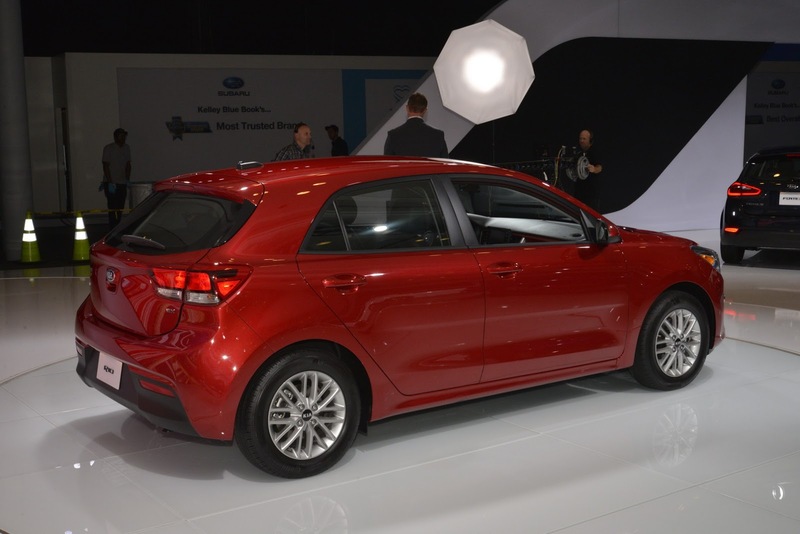 A step backward styling wise from the previous iteration. 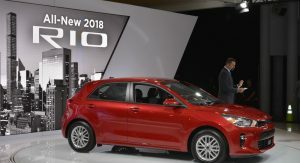 Looks dated. 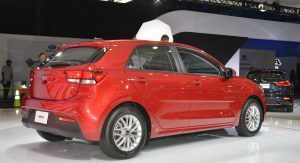 Like they ported over an older platform car that they sell in India or something. 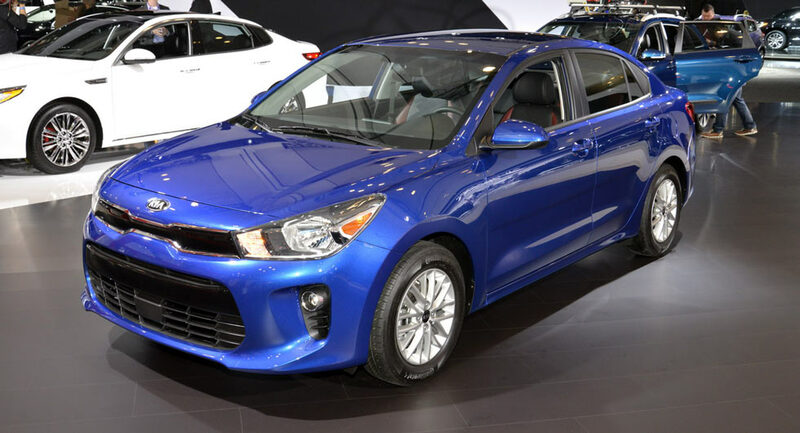 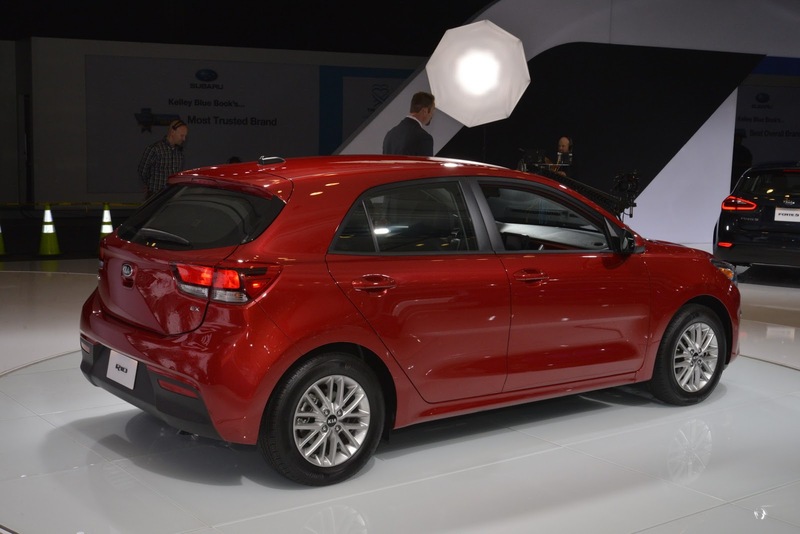 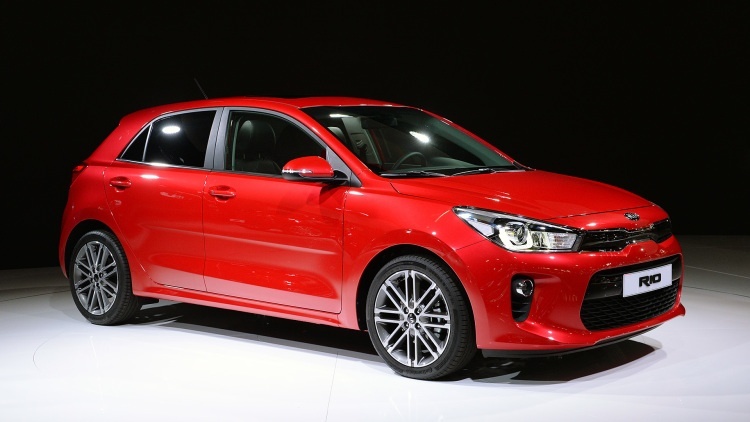 Once the new Kia Rio comes out in South Africa in Q2 2017, my dad has to buy this! 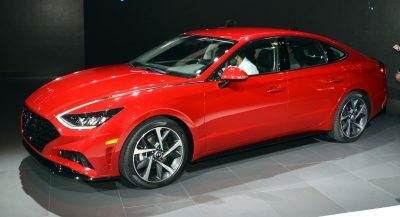 This looks good, i don’t care what anyone says. 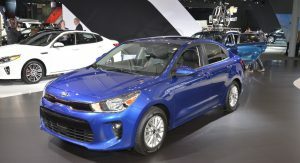 Remember to tell the salesman that you like its looks as you purchase. 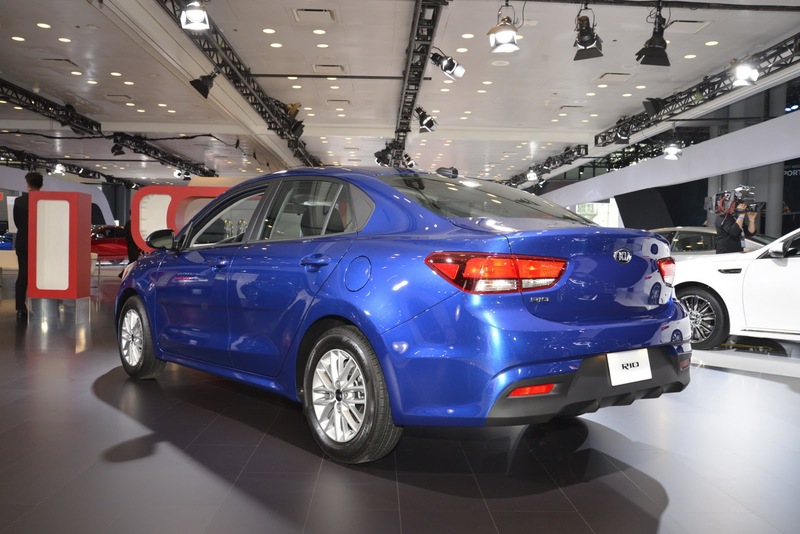 The hatchback looks fine, if a little underwhelming, but the sedan is unforgivably clumsy. 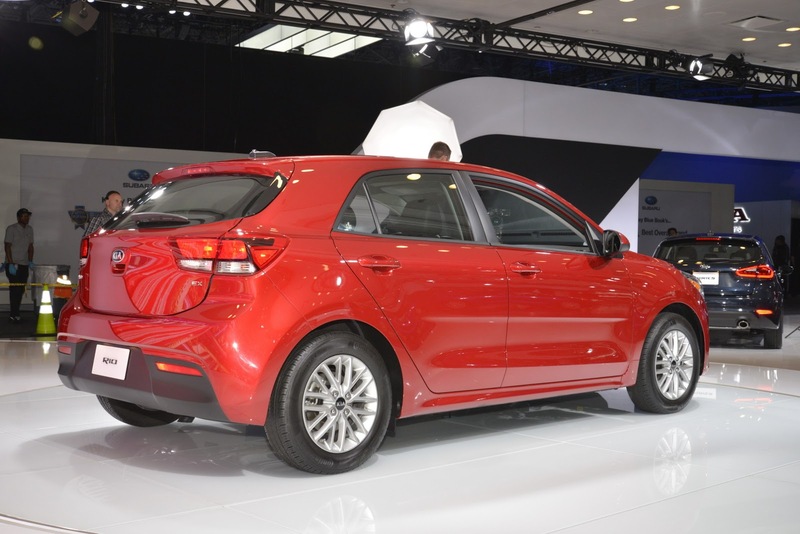 There isn’t even the vaguest attempt to make the black plastic panel behind the rear door look like a window. 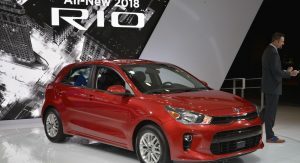 That front just doesn’t work. 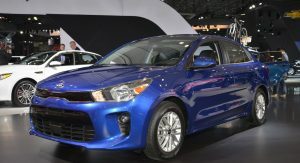 KIA’s Ugly Phase is upon us. 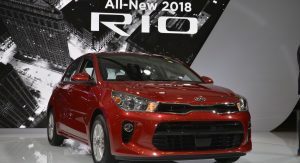 Always happens with every automaker; none are exempt.